The airline said inflight meals manufactured by Gate Gourmet Korea had been served on Flight 731 bound for Ho Chi Minh City, Vietnam, Wednesday at 7:30 a.m. The supplier will now be providing some 30,000 meals a day for 81 flights departing from Gimpo and Incheon, it added. In July, Gate Gourmet Korea was contracted to provide meals for Asiana Airlines for the next 30 years. But a fire at its production plant in March halted production and the airline signed a temporary contract with another meal caterer to fill the gap. However, the new supplier, Sharp Do & Co Korea, was a small company that could only meet about 10 percent of Asiana Airlines’ needs. There was an unprecedented supply disruption, and the case became the subject of intense media scrutiny after the head of a Sharp Do & Co Korea subcontractor took his own life. 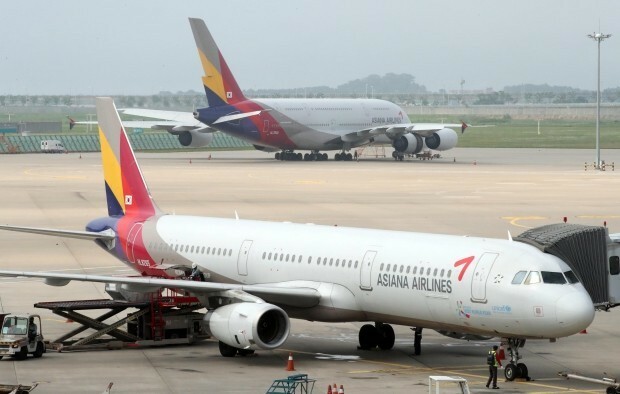 Asiana Airlines has since offered vouchers and mileage to compensate passengers who were inconvenienced as a result of the supply disruption. Some 300 workers at Asiana Airlines held a candlelight vigil asking the company to take responsibility for the situation. Last week, former Asiana Airlines CEO Kim Soo-cheon offered to take responsibility for the inflight meal crisis by submitting his resignation. According to the airline, the restored Gate Gourmet Korea plant can manufacture up to 60,000 meals a day. “We express deep gratitude to Sharp Do & Co Korea for doing their best to provide meals. From now on, we will work with GGK and (make every effort) to offer the world’s best inflight meals as well as to regain consumer trust,” said Asiana Airlines in a statement.